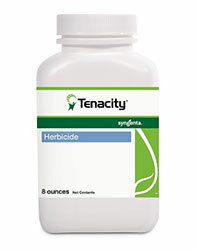 Tenacity herbicide selectively controls 46 tenacious weeds and grasses pre-and post-emergence and is the broadest spectrum herbicide available for use at seeding. Once applied, Tenacity translocates throughout the weed and terminates growth within two to three weeks. Soon after application, photosynthesis is disrupted in the weeds and they stop competing with the desirable turf. In this way, Tenacity can help control weeds like crabgrass, ground ivy, yellow foxtail, yellow nutsedge, nimblewill and unwanted bentgrass. For more information, please visit GreenCastOnline.com/Tenacity. To receive free homeowner marketing materials for your lawn care business, visit SyngentaTurfTools.com.